As per the usual for Sydney Summer Series, this is a 45 minute score orienteering event with 30 controls in the field. Your aim is to get as many points as you can in 45 minutes. Controls 21 to 30 are worth 30 points. 10 points will be deducted for each minute or part of a minute late. Sportident (SI) will be used at this event. Each participant will need with their own SI stick which is dipped into the electronic tag at to control points. SI sticks will be available to hire for $4. SI sticks can also be bought online for $40-50. When you have your own personal SI stick it is programmed with your name and club which saves time at registration and the finish. 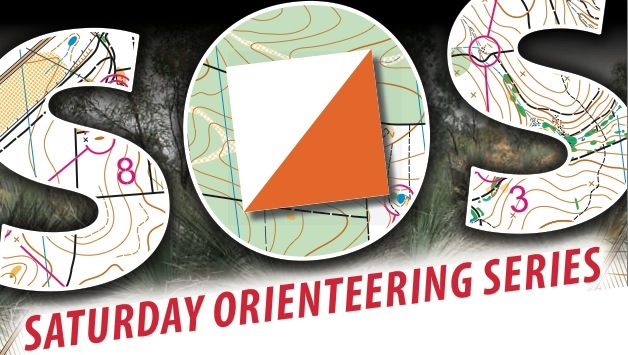 Entry fees are $10 for NSW orienteering club members and $8 for junior members of an orienteering club. Non-members fees are $13 for seniors and $11 for juniors. If you are thinking of going to a few events why not consider joining a club? Membership sign-ups taken now will be valid until the end of 2012. There are special rates for families too! More information can be found here. For information on other events in the Summer Series, check out the programme here. Fill in a registration card and then pay for your entry at the registration table. You entry card will be marked at paid and you will be given a colour A4 map and small slip with the control descriptions. You can look at the map and decide which controls you are going to visit. When you are ready to begin, report to the starter and give them your entry card. If you are hiring an SI stick the starter will issue you with one. Clear and check your SI stick in the SI units at the start. Your time will start counting as soon as you dip your SI stick into the Start control. Put your SI stick in the finish control. This is important as it stops the clock. Remember, you lose 10 points for every minute when you go over 45 minutes! Report to the computing area where we will download your SI stick, give you a printout with your split times and tell you your score. Scores will be posted nearby periodically. Results will be put on the club website (www.bennelongnorthside.com.au) and summer series results page soon after the event. You can start your run any time between 4:30PM and 6:45PM. We will start pulling in controls at 7:30PM so if you think you might accidentally take longer than 45 minutes please don't leave it to the last minute to start.